Every fourth grade scientist wants to be the Bucket Master. Who wouldn't? The Bucket Master is in charge of using a red bucket to catch water that is dripping from a perforated plastic jug designed to mimic a leaky faucet. (Being responsible for the leaking jug is not a coveted position.) The Timer gets a stopwatch and is in charge of letting the drips fall into the bucket for exactly one minute. The Measurer uses a graduated cylinder to determine how much the Bucket Master has collected. The Data Keeper writes down the number. It’s all fun and games as Gilbert fourth graders break up into water science teams, but then they must come back together for a group math lesson. Milliliters must be averaged and converted to gallons and minutes must be converted into hours and hours into days, months, and years. This is how students learn that one leaky faucet can waste 90 gallons of water each month, or 1,080 gallons a year. Since 2007 Gilbert has been sending its water conservation specialist into fourth-grade classrooms to teach lessons about rainfall totals, the water cycle and conservation. 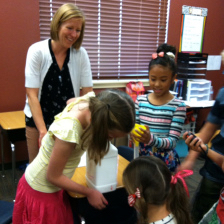 Scottsdale also offers hands-on lessons for grades 2 through 6 on a range of weather and conservation topics. Valley cities and schools work together to create water conservation lessons that do not take up precious teaching time, but reinforce existing math and science teaching goals. Many cities in the Valley enhance the water conservation message to students through assemblies featuring puppets and magic or through field trips to community water festivals. Kids get a lesson in desert living from Zoner and Drip of the Great Arizona Puppet Theater. 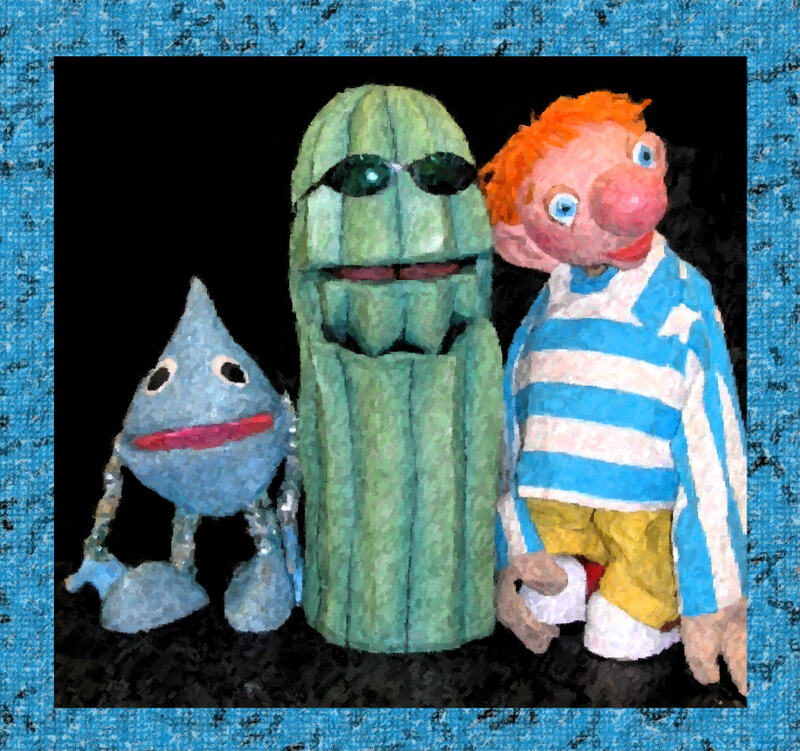 For 20 years, the Great Arizona Puppet Theater has helped students learn about conservation with the help of water-smart puppets Drip and Zoner. This year, the theater presented 140 shows to about 11,000 first through third grade students, most of them in Mesa, Chandler and Glendale. Since 1989, magicians from Abracadabra Productions have been making water disappear and reappear, putting enchantment into water conservation for kindergarteners through fifth graders. This year Abracadabra presented 149 magic shows for 29,000 students and teachers in Tempe, Surprise, Avondale, Peoria and Chandler. After the show, students receive a workbook with puzzles and games about saving water. Arizona Project WET is hosted by University of Arizona’s College of Agriculture and Life Sciences. The organization’s main goal is teacher training and building K-12 science and math curriculum about water. Project WET also organizes community Water Festivals. The Water Festivals include a day’s pre-training for teachers to help them prepare their students for the learning activities at the festival and to continue their students’ learning after the event. This school year Arizona Project WET organized three Valley Water Festivals for 2,590 fourth graders in Gilbert, Chandler and Glendale. The cities support these school initiatives because they want to help build a culture of conservation within the Valley’s children. Cities also hope Bucket Masters and their science teams will share the message about saving water with their parents.